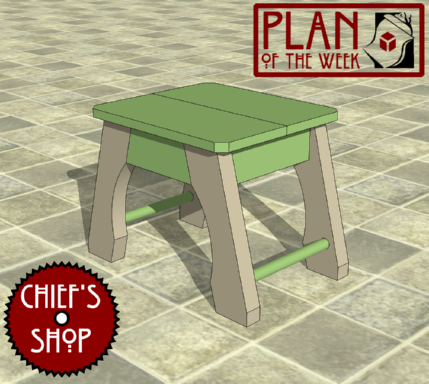 The Chief’s Shop Bath Stool could work for kids needing a little boost, for mom and dad to sit while bathing the kids, or as a small table by the tub. Lumber required includes a 2x4, 1x8, and 1-inch dowel. Overall dimensions: 20 inches wide x 14 1/2 inches deep x 14 5/16 inches high.